"I highly recommend Walter's. Ray explained everything that needed to be done in detail and made sure I understood everything. Overall great customer service." "Walter's figures out the problem and fixes it in the time frame as promised." "Ray explained everything before proceeding with the work and offered options. I felt they were very thorough and the prices were reasonable." "It’s difficult to find a shop that you can trust. This is exceptionally true when you just bought a foreign auto that you know nothing about and have no clue on how to fix it. This vehicle is nothing like working on your old ‘55 Chevy. It’s a MB that is the very most elite and complicated type of auto. Trust in the shop and the mechanics is utmost when you are completely clueless about computers and drive systems." "I have been bringing my BMW here for years and found them to very honest and reputable." "They're honest and do great work at a reasonable price but bring cash or check if the bill is under $ 150.00 as they don't accept credit cards under that amount." "Great service! Was able to identify and correct issues other repair facilities could not. I was kept fully aware of issues as my car was being fixed. They even emailed pics of the problem! Would definitely recommend!" 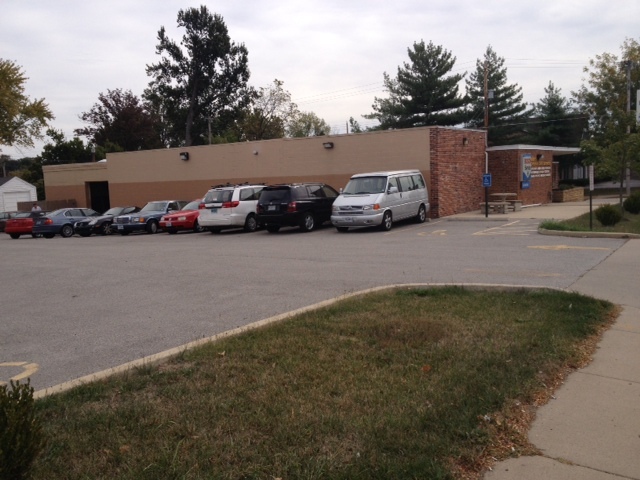 "I always get great service at Walter's and know that my car is in great hands. They are always transparent about what's going on with the Jetta, they do great work keeping a 12 year old car on the road and at rates that are much more reasonable than dealerships in town. I trust the Walter's team completely." "Even though I have had limited personal experience with them, I know a thing or two about repair shops and car service and my initial assessment is that you would be hard pressed to find a better repair facility in terms of competence and integrity." "I referred a couple of my friends that have foreign car's to Walter's. I have been bringing my BMW to them for years and I feel they are very honest. I trust them." "Well, they have a lot of cars sitting there for repair but My Mercedes Benz was there for three weeks. I was told they were very good at repairing MB cars. Unfortunately this was the worst experience I have ever had with a repair shop. I picked up my car today to have it towed to a Mercedes Benz Dealer because this establishment said they could not repair the car. Also I was told they didn't have some of the tools required to do extensive repairs on MB. After being charged $1,280.00 and picking up my car in the same condition it was in when I brought it to them I can honestly say I'll never return! Hey this guy seems nice enough but seriously????" "They do excellent work, At a reasonable price and are very timely with completion." "Ray and team have done outstanding work for us. He explains everything very clearly, gives alternatives when possible and is a no nonsense type of person. He is an honest straight shooter. The prices are fair and workmanship is first class. The shop is clean and well kept. This is the shop people always say they wish they could find. I highly recommend them." "Staff was very friendly and when I asked questions I felt listened to. 10/10"
"Conscientious and quick response to service needs for older model VW Jetta TDI, clear explanation of service options for vehicle. Excellent!" "Reliable, honest, they understand what your car needs and what it doesn't need." "I dropped the car off without a reservation, and it was fixed the next day." "They have awesome service and friendly staff. The only place I go for my car." "Don't delay-make an appt. now! Excellent, couldn't be more pleased. Ray was great, n talked with mechanic John for further comments n explanation on oil filter. Thanks again. "I'll be back"!" "Always timely and good communication about diagnosis and repairs needed. And they do it right the first time." "My husband and I found them on Angie's list and they have lived up to their excellent ratings." "That Ray and team are fantastic. It is the most comfortable I have ever been when visiting an auto repair shop. I love how willing they are to explain things to a novice, without talking down or being condescending. They are always on the lookout for simple solutions and are very scientific about how they source the real issue with the vehicle." "Ray was extremely nice and easy to work with. He was detailed in his explanation of the problem with my car. I would definitely go back again after this pleasant experience." "I have recommended Walter's to friends of mine because they are nice guys and they ARE HONEST. They won't rip you off." "I received my vehicle yesterday. So far I am totally happy with the repair and will make Walter's my go to shop for future repairs and maintenance for my M-B vehicle." "Responsive, intelligent, knowledgeable, and willing to service the car in the quickest time at a more than reasonable price." "Have had my 68 beetle fixed by Walters for the last 5 yrs plus. It is not a daily driver but they always have it fixed quickly even when parts need to be ordered. Thanks again for another great service job." "Walter's is the only other shop (aside from the MB dealership) that works on a 2000 year model. They kept me informed through the whole process and alerted me to changes. The price for my repairs was beyond reasonable." "From the initial call and drop-off, to daily telephone updates and final pick-up, Ray was very professional and helpful. Beyond that, very personable. He took time to listen to my issues initially, without rushing me, and explained all work again upon completion. Also, rather than up-sell parts and services, he advised when I might try something myself instead. That really impressed me." "Go see these guys if you want honest repairs and problems fixed right the first time." "Ray's explanations were helpful and his caution at trying parts on an unclear problem assured me he was not looking to up sell. The service was timely and the cost was reasonable. I'll be back for any future problems." "I always recommend Walter's to my friends needing repair work. I have been using Walter's since 1984." "Always does good work. Prices are fair and reasonable. Explains everything well." "Super nice people. Reasonable prices. Straight shooters. Solid work done quick. Communication was great, I got emails and phone calls about the estimate and when my car was ready. This is my new go to shop." "Very satisfied customer. Have an unusual foreign car and they are great. Originally went to a them for a third opinion after having been told I needed a new engine in my old dear sports car. They felt I didn't need a new engine - did some repair and I have driven the car ever since and continue to have it serviced at Walter's. Been going there for over 5 years." "Walter's does a fantastic work and , I feel, does it for a very reasonable price. I have had nothing but a great experience with them." "Ray & the team always explain things clearly and provide solutions at a reasonable price"
"Very good experience. They identify problems by asking specific questions, then they get after the solution(s). They take the time in asking questions." "They took the time to figure out what exactly was wrong with the car and took great lengths to fix it correctly and completely. You don't see that type of dedication that much any more. I will return again if something else goes wrong. I feel as though I can trust your shop and I thank you for your expertise." "Walter's Foreign Car Service does a great job! I'm very happy with their work and find them to be extremely honest. I would highly recommend them for your service needs. Thank you!" "Reliable, careful, service-oriented. My 2004 car is in great shape, thanks to their continued maintenance." "I brought my car in after previously taking it to a Nissan dealer to diagnose a flashing airbag light. The service I received at Walter's was amazing; they were responsive, asked questions about the vehicle, repaired the car quickly, and the estimate I received from Walter's was less than half what the dealer wanted. Very glad I got a second opinion, and appreciative of the service and care Walter's gives to their customers. Next time, I know where to go first!" "I am very pleased with the explanation of what needed to be done and why." "They were very prompt. Gave me the information concerning the needed repairs and didn't try to over sell me." "Very professional and thorough! Definitely trust them to fix whatever is wrong." "They treated me with great respect, explained everything so I could understand. Service was great. Very kind. Repaired my car very quickly for me and did a beautiful job." "The quality of work is excellent and so is their customer service--first expect to be fully informed about what needs to be done, why, and how much it will cost; then look forward to driving your properly repaired vehicle." "I believe they are honest with what needs to be done and stand behind it. As a female, that is so important. And they will do it promptly." "Honesty, number one. Great service. Ray's clear explanations of mechanical problems. Consistency of good work for over a doze years." "I did refer a friend, Debbe Palazzolo a couple months back. I think they are very honest and reasonable. She was pleased with Walter's also." "Excellent service and honest pricing. Absolutely recommend Walter's to anyone. I own a service related business and Walter's is top notch in my book." "I would say that it felt like a very honest, to the point business. I trusted what the staff told me needed to be done and that it would get done in an effective and timely manner." "Very accommodating, I was heading out of town and Ray was able get me in for a 3hr job the next day. The repair solved a real concerned I had, very happy with work." "I am very happy with theirs service and the quality of their work. I've had my car in twice now. They are very thorough and let me know of any problems they find before fixing them. They also let me know when they don't find any problems." "You can always trust that your work will be done competently and quickly. They go out of their way to expedite your car's work, and they alert you to potential problems down the line. I always prefer to wait for an appointment there than to take my car to another shop." "I would recommend Walter's to anyone who asked based on their quality of work and customer service." "They are up front, honest, friendly and respectful. They even listen to you"
"Walters provides dependable, quality service - important for me with a 12-year old car." "I am very pleased, they seemed very thorough in they analysis and explained the problem and their intended fix." "With only one exception, always completely satisfied with the work and customer service in more than 15 years as a customer." "Very professional, very personable, very accommodating, very reliable. These guys do excellent work." They explained everything to me in ways I can understand." "Walter's Foreign Car Service does very nice work. They are honest, fair and reasonable." "Great service & very knowledgeable, true experts; on top of this Ray worked my car in the same day!! Thank you Ray & Jim. Running great." 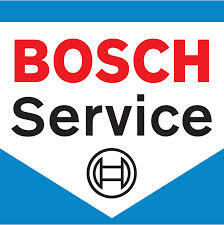 "Great service, they get to know you and your car. Give you options when needed for repairs." "I would say that Walter's Foreign Car Service is the best. They really know what they are doing and they are friendly and easy to work with." "They work at getting you to understand what happened with your car and what needs to be done. Ray insists on using quality parts, which costs a little more but last a lot longer." "Very knowledgeable, and helps you understand the problems and what they've found. They actually look at the car." "I would absolutey recommend Walters Foreign Car Service. They have always been honest and fair priced with my car repairs. I really appreciate that they try their best to get your repairs complete on the same day if possible." "We have always received excellent service from Ray, Chris, and their crew & would have no problem recommendding Walters Foreign Car Services!" "They're very professional and easy to talk to. They assess the issue and then call you to discuss what is wrong, how they plan to fix it and how much it will cost before actually doing it. They're extremely affordable compared to a lot of places that have worked on my car, especially being foreign cars. I just moved here to St. Louis and I'm glad I now have a mechanic that I can rely on while living here." "They always are quick to diagnose the problem and are very good at keeping us informed on the progress of work. They always get the problem solved the first time and take the time to explain what was wrong and how they fixed it." "High marks for communicating with customer. Appreciated the phone calls to clarify what I wanted you to do with car, and also follow up with action plan for car." "I was refereed to Walter’s Foreign Cars about 7 years ago when I was having problems with my VW Jetta at another shop. I supplied Walter’s with the invoices from the other shop and they basically said I was getting robbed. Since then I have used Walters for my Infiniti and they have done a great job and are very fair on price. I would recommend Walter’s to everyone in St. Louis with a foreign car." "I was treated with respect. The service was timely and the prices are fair. The shop is clean and the staff is professional. It doesn't get any better than that. It was a very positive experience. I highly recommend Walter's for anyone looking for an honest auto care professional!" "Exceptional, exemplary, and very customer focused. I know my car is in capable hands. The service is always friendly and respectful." "Excellent quality of work every time I've brought my vehicle in. I feel that I can go to the shop and get an honest appraisal of work that is actually NEEDED to be done. And the fact that Walter's Foreign Car's service charges are much lower than my dealer's is an added plus." "I would recommend Walters to all my friends that own foreign cars. Like some other shops, they did not try to sell me a bunch of repairs that weren't needed at this time. The price they quoted me for the repairs was very close to the quote and the car was done when promised." "Excellent work, repairs are always done right the first time at an affordable price and I trust their recommendations on additional work they identify as needed." "I found them very efficient, prompt, courteous and they effectively repaired my vehicle in a quick amount of time. I was very please with the experience." "Very good, knowledgable service at a much lower price than the Porsche Dealer"
"Great service - great work and customer service outstanding. I have been taking my cars to Walters for more than 20 years..."
"I've experienced nothing but honest, quality, and prompt service for the last 4 years from Ray and his staff. 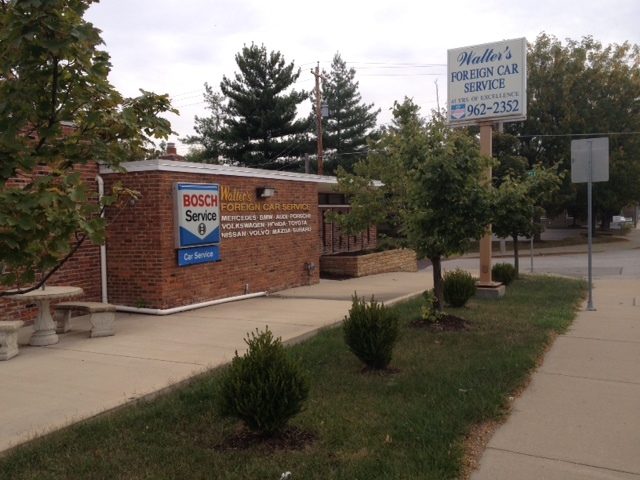 I always recommend Walter's when I hear anyone looking for auto service." "Very thorough. Honest. Performs only the work that needs to be done. Let's you know if other things need to be done in the future. Always dependable. Great place!" "quality of work is good but this time when I picked up the car there was grease on the passenger seat and the seats are white"
"I would tell them the service was quick and affordable as well as thorough." "Walter's is by far the best shop I have ever been to. Ray is always a pleasure to talk to, explaining everything in detail and answering any questions without hesitation. The technicians are obviously highly trained and leave no detail unattended. I would not trust anyone else with my vehicle. Prices are fair and the customer service is top notch! I recommend Walter's to anyone and everyone who has a foreign car!" "Walter's is a place that can be trusted. Excellent sevice, fair prices. Problems are thoroughly discussed and then resolved. It's an HONEST business. Best shop I've ever found." "I think the quality of work, & the customer service, are very good." "The quality of service was great. However, I believe intense work has to be done before I can speak of the quality of work. I got an oil change, and a seat fixed. When I have some major work done, of which I intend, I will comment on the quality of work, after a period of time. For now the quality of service is about what I expect." "I think that the advice and customer service is excellent. My car is running well as a result of good maintenance and mechanics, especially on a European model car. Many other places do NOT know how to properly maintenance the car, nor do they have the proper tools." "The people are wonderful and so is the services and repairs are very reasonable." "Very good work at fair price. Get you in when you need appointment"
"They went out of their way to make sure I was satisfied. The dealer would have charged me thousands of dollars for what I had done at Walter's for hundreds and the workmanship was superior. Their customer service was second-to-none. I would recommend Walter's Foreign Car to anyone." "Quality of work was excellent. In addition to brake service, Walter's diagnosed and fixed the engine noise that I have dealt with for almost a year following our visit to another shop that could not fix the problem. Customer service was fine. I was able to pay with a credit card over the phone and pick up my locked vehicle from Walter's parking lot after hours." "Walter's does excellent work at a fraction of the cost compared to a dealer." "Great service at reasonable price. Fixed what needed to be fixed and did not try to sell me other services or things the vehicle didn't need." "Great, friendly employees! Diagnosis & repair was correct the first time. Even had suggestions for my next vehicle. Very satisfied." "A person can wait for service and staff is attentive. I feel assured work was done and my car is safe to drive." "I can't recommend Walter's enough. The people are friendly and I never have to worry that the work isn't done correctly. When I recently bought a used Porsche Boxster, I refused to take it anywhere else." "Ray is a rare combination of skilled and trustworthy. I wouldn't take my car anywhere else." "Not sure at this time. My car is not starting the very same day I brought it home. Completely dead battery. And when it was started the temperature gauge did not function." "Very good work. The people are very knowledgeable. A little pricey but the work is very good." "I would say the truth: That Walter's seems to care for your car probably better than you do, and has the skills, tools and experience to keep it on the road better than you can!" "I have been a regular customer at WFCS since 1959, Original owner Walter Muench and now his son Ray are men of unquestionable character and people in whom I can place trust in caring for my automobiles. I have always found this firm to provide service of the highest quality and to give me reliable advice." "I would highly recommend your shop to anyone. I am still amazed you could get me in and out so quickly in an emergency situation. I can not thank you or praise all of you enough. Great job!" "Awesome place of business and recommend them to visit for great customer service." "Great. On a scale of 1-10, it's a 10. Honest people who really care about your car giving you safe and efficient work." "They are very accomodating when you call for an appointment and I believe them to be a very reputable place to have work done on your foreign car,"
"Walter's mechanics are knowledgable and really good at explaining more complicated repairs. Friendly expert service, quick turnaround and excellent workmanship. I've had VWs for 20 years and Walter's guys are the best mechanics in town!" "Walter's did an excellent job on my vehicle at a very reasonable price, thank you Walter's Foreign Car Service"
"They have wonderful service. They don't pressure you into additional services. They are fast and efficient. I recommend them to anyone with a foreign car." "They are the best!!! They do an excellent job, at a fair price, and are as honest as the day is long. My dad had an auto repair shop, so I am very, very picky." "The quality of the work is excellent. Repairs and routine maintenance are carried out promptly. It is a pleasure to recommend Walters most strongly." "They were honest, helpful, and went the extra mile when I asked them too!" "I would say the guys are nice and that they do quality work on the car as well as quality advisements on what needs to be repaired in the future." "I would say that they are honest and reliable. That is what is important to me. Quality work, prices, and friendly service is important." "From past experience I trust Walter's to perform the repairs needed in a timely manner. Excellent service." 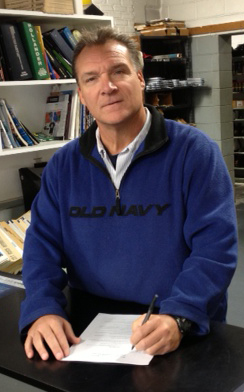 "Ray and the guys have always provided outstanding customer service and quality care for my vintage Mercedes. Highly recommend." "We've been bringing our cars to Walter's for almost 40 years. During that time, we've owned a Mazda, an Audi, a Toyota, a Honda, two Acuras, two Subarus, and several VW's. 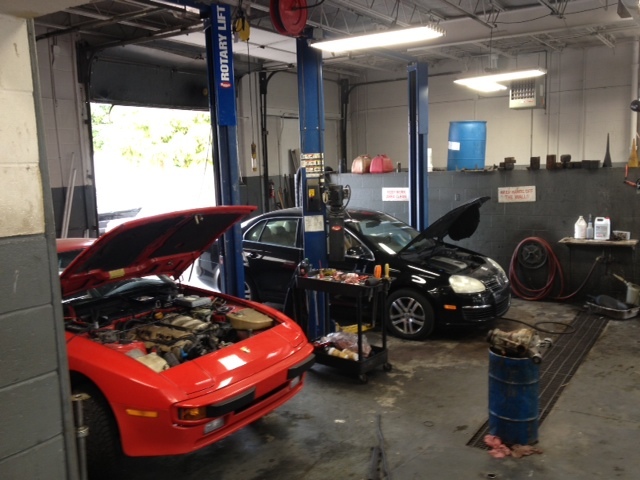 Walter's has done a great job of keeping each of these cars in top running condition. We trust them to suggest needed repairs, to perform the work right the first time, and to charge competitive rates. Overall, they're just great people to do business with. Every once in awhile, we've thought of buying an American-made car, but when we remember that we couldn't use Walter's for service, we change our mind!" "The service was performed quickly and efficiently. Ray and the guys did a great job!"